Clemson, S.C.—Clemson senior cornerback Cordrea Tanklersley has been named to the Watch List for the 2016 Jim Thorpe Award. The award was established in 1986 and is named after history’s greatest all-around athlete, Jim Thorpe. Thorpe excelled not only as a running back, passer, and kicker on the offensive side of the ball; but also stood out as a defensive back. In addition to his legendary performance on the football field, Thorpe played professional baseball and won Olympic gold medals in the decathlon and pentathlon. 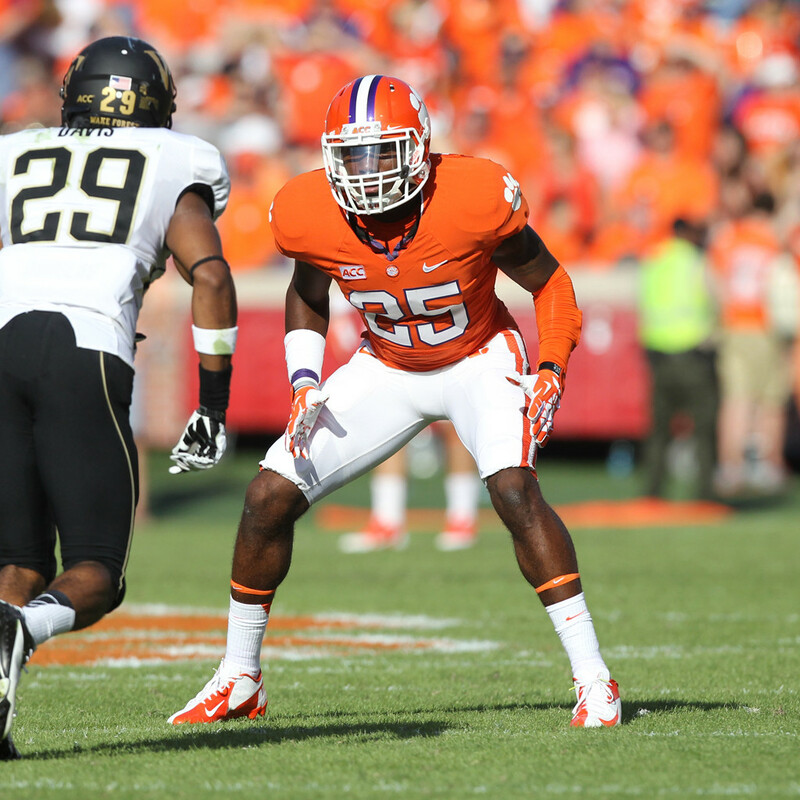 Tankersley started all 15 games at cornerback for Clemson last year when the Tigers won the ACC Championship and finished No. 2 in the nation with a 14-1 record. The native of Beech Island, S.C. led the Tigers in interceptions last year with five, which tied for 20th in the nation. He also had 60 tackles and 11 passes broken up. The Jim Thorpe Award watch list is chosen by a screening committee who compiles a list of 30-50 players. The list is not final, and players who have outstanding seasons are added as the season progresses. The Thorpe Award Winner is selected from three finalists and will be announced at The Home Depot College Football Awards on Thursday, December 8, 2016 on ESPN. The Jim Thorpe Award Banquet will be held on Tuesday, February 7, 2017 in Oklahoma.